Kylie Jordan struggles to piece her damaged life back together following the senseless death of her sister at the hands of a drunk driver. She spearheads a grief support group at New Hope Church to ease the pain, and tends to the roadside cross placed in her sister's memory. Mason Bennett yearns to make sense of the reckless actions that stole his brother's life, as well as the life of an innocent victim. His pain leads him to New Hope Church--and Kylie Jordan. Kylie and Mason's lives are woven together by a single, irrevocable moment in time. When the past is revealed, will their faith--and love--sustain them, or will Kylie's fragile trust be forever shattered? Kylie Jordan’s gaze swept to the roadside as her car idled at a red light. Soft music from the radio soothed and sunlight warmed her through the windshield, chasing a sense of sadness that crept in whenever she looked at the small white cross plunged into damp earth and set back just a bit from the curb. The painted wood was buried in weeds—easy to miss if you didn’t know it was nestled there. She knew it was there, though—twenty-four seven. 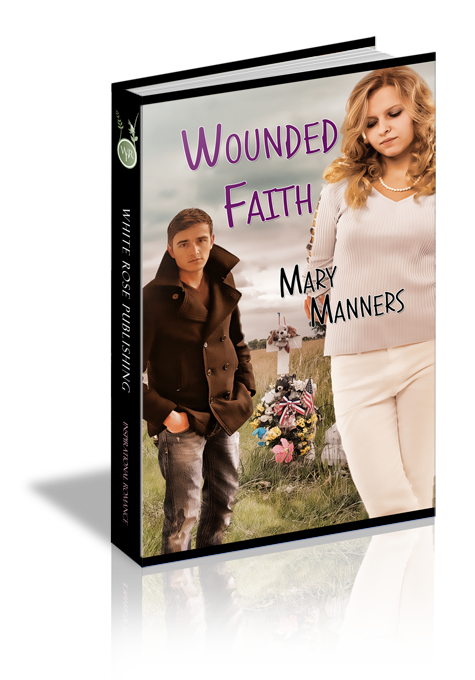 The name carved into the weathered wood belonged to her older sister, Faith. Kylie thought of Faith now, as she always did when she came to this corner… tall and lithe and flashing the brilliant smile that lit up warm caramel eyes. Separated in age by merely eighteen months, Faith had been Kylie’s best friend. Kylie preferred to remember Faith before the accident that took her life, not the way she was for the few days that followed while she lay in limbo, still and shadowed like a house without its lights on. Kylie thought of her own life as a play with two acts—Before and After. Before was bright and colorful, a canvas of happy times when Faith was there to share things with, to laugh and dream with. After was a sequence of mundane black-and-white photos…the rush of a chill after the laughter died. The sharing had ended abruptly when a drunk driver took Faith’s life—and the life of her unborn son. The “after” tugged at Kylie like a raw wound that just refused to heal, even though nearly a year had passed. She was beginning to wonder if the pain ever would fade. Was she destined to live in this sepia vacuum while the rest of the world scuttled around her, racing toward its future? She tapped her fingers on the steering wheel in time to the music and drew her gaze back to the road. As the light changed, she made a mental note to stop by the intersection within the next few days to weed the area at the base of the cross. The weather was turning warm again. Signs of spring burst all around. Bradford Pears danced along the neat row of shop fronts, tossing pollen into the breeze that made Kylie’s eyes itch, and the scent of lilac sweetened the air as she crested a hill going west along the four-lane road. New Hope Church soared into view, its steeple a beacon against the cloudless blue horizon. Kylie smiled as a rush of warmth spread through her. This evening, same as every Thursday evening, she’d be among friends…people who understood and shared her sadness. The tight-knit group was like a family—the only family she had close now that Faith was gone and her parents had retired to the other side of the country. Kylie turned into the church’s black-topped parking lot and slipped her sedan into a space near the entrance. The grief support group she led was due to start in half an hour, and Pastor Thompson had left a message for her to expect a new member tonight—a man from Knoxville who’d lost his brother in a horrible car accident nearly a year ago. How ironic. She didn’t even know the guy, and already she felt a kinship with him. She looked forward to bringing another grieving soul into the fold. Together, God willing, they might find their way through the dark, cold tunnel of emptiness to sunlight that beckoned on the horizon beyond. Question 1: Wounded Faith is based on Psalm 147:3...'He heals the brokenhearted and binds up their wounds.' Have you witnessed this verse in action? If so, explain? Question 2: Kylie describes her life as 'before' and 'after.' Does your life have a before and after? If so, explain. Question 3: Mason is hesitant to enter the church just before his first grief support meeting, even though he knows the meeting will help him. Why? Question 4: How is Kylie and Mason's bridge-building project a symbol of their relationship and the healing process? Question 5: Describe how you think Kylie feels when she says, "My anger has nowhere to go." What do you think of Mason's response to this?